We had a great night out during the summer at the Hollywood Bowl. 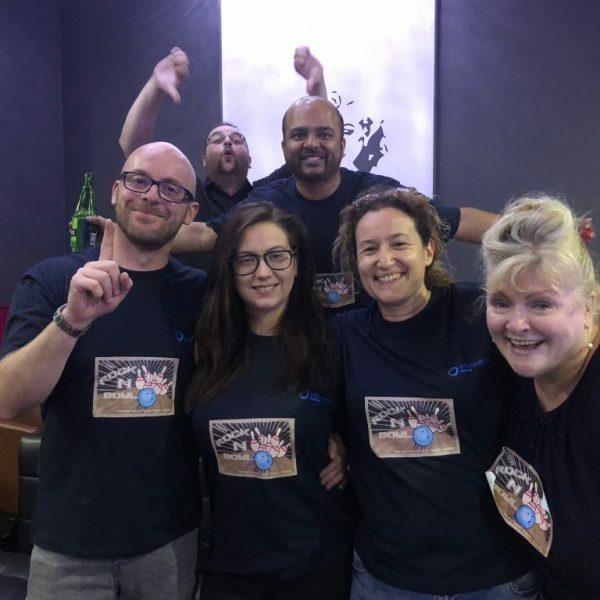 Two teams went head to head, with team ‘Rock n’ Bowl’ eventually beating the ironically named team ‘The Champions’ in two games. Adrian was our highest score with 266 points across both games, and put in a stellar performance. 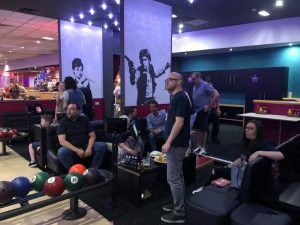 We ate, we drank, we dropped too many balls and great fun was had by all. A huge thank you to Annie for organising a fab team event!